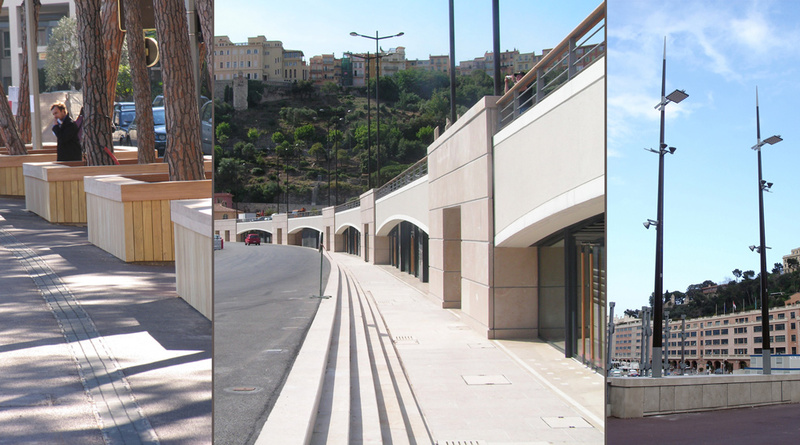 This project currently in progress deals with the urban redevelopment of the “Port Hercules” in Monaco, a 12 hectare area. 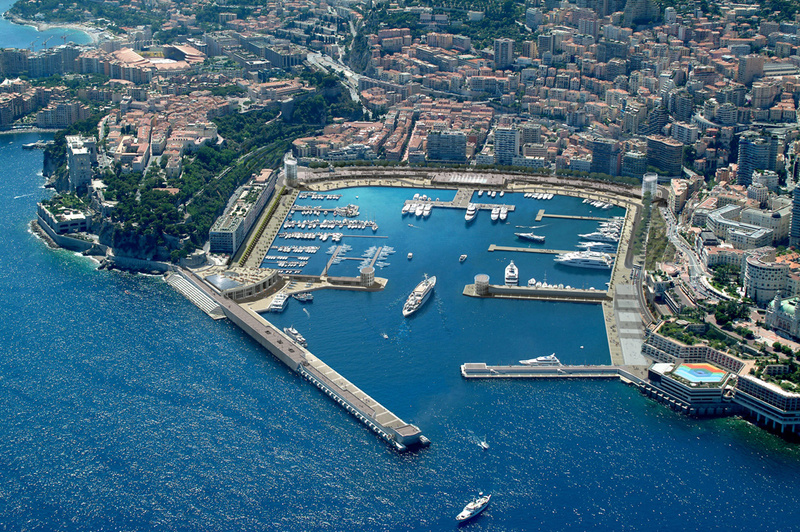 Port Hercules accounts for a central place in Monaco. 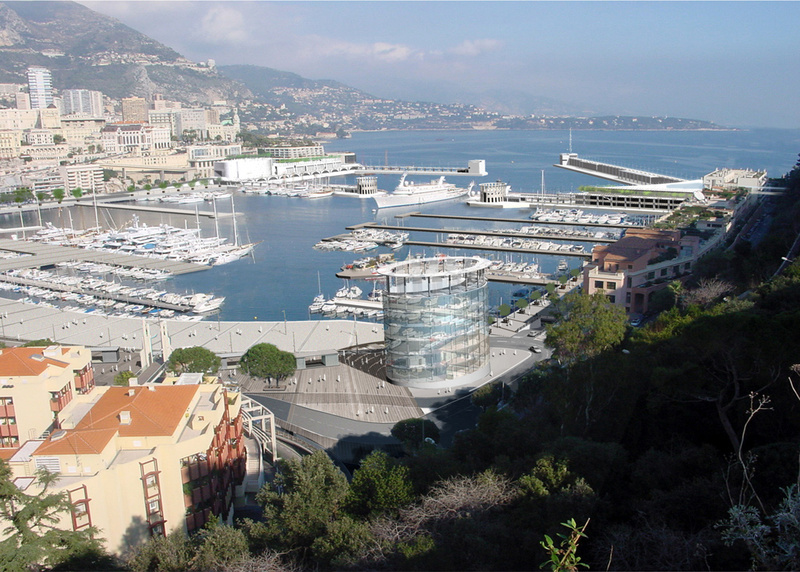 It is located at the junction between “La Condamine”, “Monte Carlo” and “Le Rocher” neighbourhoods and at the crossroad between the Prince’s Palace, the Oceanographic Museum, the Railway Station and the Casino. Its redevelopment, in addition to increasing the port’s capacity, aims at enhancing the central role that it plays in the urban landscape, in the process becoming again one of the emblematic landmarks of the Princedom. Through the optimization of its space and the creation of new connections, the Port will take another meaning in the City and connecting links between both will be strengthened. The project draws its inspiration from the spirit of the place, from its history-laden background and natural features. Through the respect of the original site and a deliberately homogeneous treatment, the project intends to give a strong cohesiveness to the port itself and its surrounding buildings and facilities, as well as an easy legibility, to gain full acceptance from the public. Located in a very heterogeneous, high density, urban context fraught with an often rather ordinary architecture the project brings some overall cohesiveness to the area and tries to pacify it, giving the Princedom a breathing space in this exceptional environment. These concepts are applied accordingly at every planning stage, thereby defining an overall cohesiveness on the Port Hercules site and enhancing its position as a well defined entity in the urban fabric. The pier and the esplanade become semi-pedestrian areas. 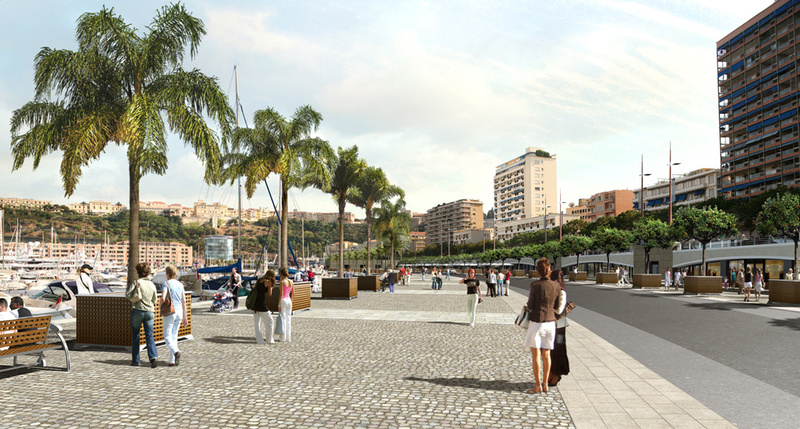 Through a more diversified use of this public space, taking into consideration the various requirements to be met – technical, related to the Port operation, related to the Monaco auto race “Grand Prix F1” route- we aim at renewing the connections between the City and the Port. The vegetation also conjures up the history of the place, faraway seas, the story of exotic botanic travels. The lighting of the plants contributes to the mysterious atmosphere. 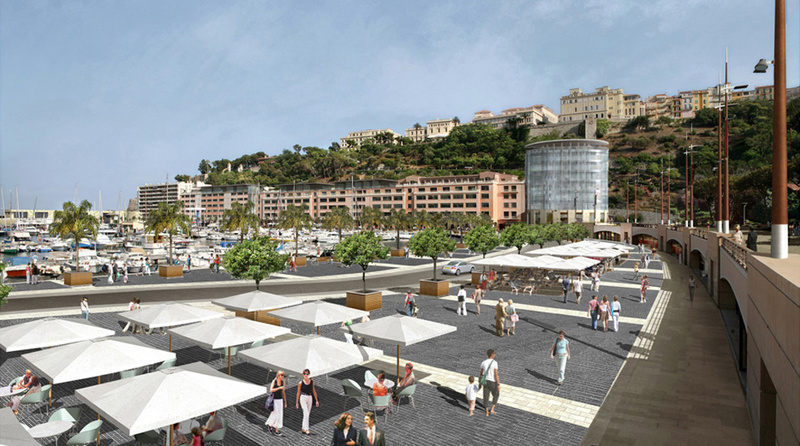 The redevelopment of the port includes also the creation of new buildings and facilities. Following the extension of the Port with a floating dyke, our project aims at giving a symetrical structure to this space by punctuating it with buildings and at clarifying the Port’s new composition through a specific profile.